While Kevin’s parents were in town, we took a cruise down the River Thames from Westminster Bridge to Greenwich. Greenwich is probably best known for the place from which the world’s time is measured or Greenwich Mean Time (GMT). The Royal Observatory, in Greenwich Park, is home to Greenwich Mean Time. In 1884, GMT became the world’s time standard at an international conference. Those countries involved in the conference agreed that the Greenwich Meridian would become the world’s Prime Meridian, therefore, the world’s time and time zones would be measured from this point. 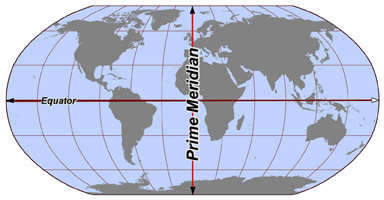 The Prime Meridian is Earth’s 0° line of longitude stretching from the North Pole to the South Pole and divides the Earth into eastern and western hemispheres (the Equator divides the Earth into northern and southern hemispheres). So, generally speaking, local time east of the line is ahead of GMT and local time west of the line is behind GMT. 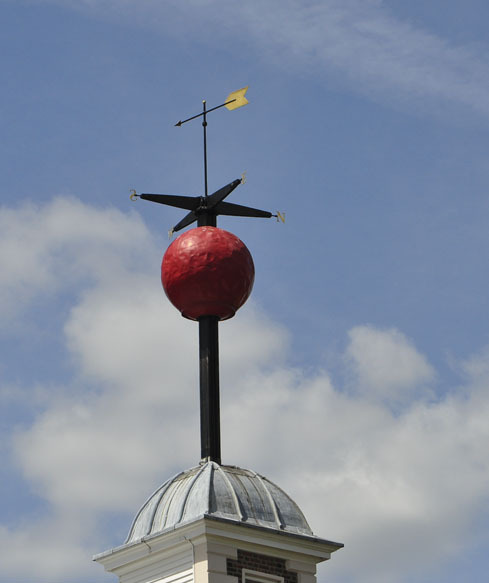 Each day, the Red Time Ball at the Royal Observatory, on top of the Flamsteed House, drops at exactly 1:00pm (13:00 GMT). We made it just in time to see the ball drop and then set our watches accordingly. This entry was posted in England and tagged Greenwich Mean Time. Bookmark the permalink. and seeing the red ball drop at 1:00 was not unlike being in Times Square on New Years Eve. Of course, there weren’t the crowds in Greenwich or the glitz and sparkle of Time Square. Loved our lunch at the pub there!